This solid black paracord bracelet it unlike any you’ve seen. Woven into the nylon cords is a fluid filled compass so you are always sure to keep your bearings. And in the event of an emergency you can always use the safety whistle that is integrated into the plastic buckle. 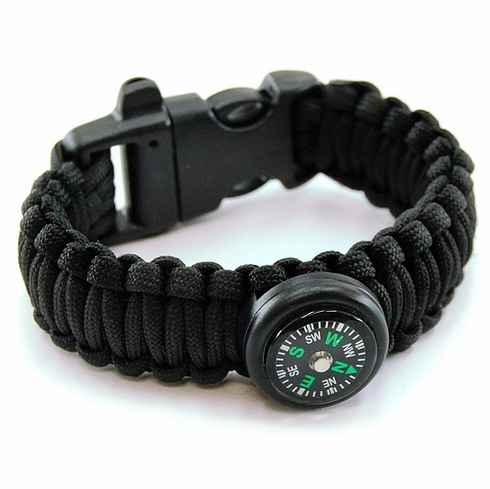 This version of the Ultimate Paracord Bracelet has a 9 inch circumference, and is recommended for most teens and adults.